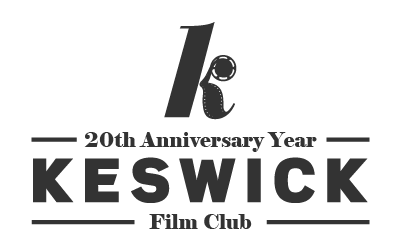 Welcome to the 20th year of Keswick Film Club! We are very proud to be entering our 20th year of bringing alternative films to Keswick. We always try to select films that will expand your awareness of the amazing talent out there in 'Cineland', and hopefully entertain you at the same time. Surely lasting twenty years is pretty good proof that we are succeeding? The Club also prides itself on being friendly so please don’t think we are a bunch of 'arty nerds'; you may not enjoy every film we show, but we are sure you will enjoy a lot of them. There is no need to join, just come along and see for yourself! Our club began life in 1998 with the simple intention of trying to bring a different range of films to Keswick on Sunday nights; the idea of a film festival started the following year. The popularity of the films made the programmers more adventurous, expanding their choices to the best of World Cinema: by 2004, Whale Rider (from New Zealand) brought in an audience of 241. The festival, meanwhile, had become an annual event, showing films at both the Alhambra and Theatre by the Lake, where March of the Penguins (from France) showed to 256 people in 2006. We have continued showing the best of World Cinema to this day, regularly getting well over 100 people to our most popular films (but happy to show more obscure films to small audiences on occasion!) and recently still equalling those early numbers: 241 people crammed themselves into the Alhambra to see Edie earlier this year and 255 were at the Theatre by the Lake to see The Raven on the Jetty in 2014. And it isn't just our audience that like the Club! Along the way we have won many awards from the British Federation of Film Societies (now Cinema for All) including Best Programme four times, Best Website and even Film Society of the Year. Where are these films shown? We are very lucky to be able to show both the Club and the Festival films in The Alhambra Cinema. Walk from the Market Square at the south end (by The Royal Oak) and keep going up St. John's Street for 200 metres until you see the Alhambra on your right. Now over a century old, the Alhambra is a must-see in its own right! When are these films shown? Most Club films are screened on Sundays at 5pm, but check the programme for start times. There are two Club 'seasons', each with its own brochure, available in and around Keswick (e.g. Library & Booths). 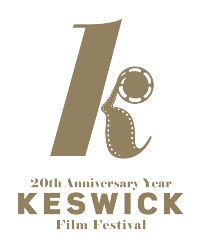 The 20th Keswick Film Festival is from 28 February 2019 to 3 March 2019. Not only do we bring you these great films from around the world, but they won’t cost you the Earth either! Even if you do not want to join, it will only cost you £6.50 to see a film - or only £3.00 for students, under 16s and benefit claimants. ...and what if I join the Film Club? Join at The Alhambra Cinema or the Chair's flat - Top Flat, 36 Station Street, Keswick - or at any club screening. Or by downloading the application form and returning it with payment. Keswick Film Club is a voluntarily-run, not-for-profit organisation. For more details on the committee, including reports from the Annual General Meetings, please see the committee page.